It is a philosophy of continual refinement that has seen an uptake of advanced automation and other technology-led processes within the industry. Rockwell Automation is one such company that has seen considerable interest from the mining sector regarding this pivot towards smart operations. 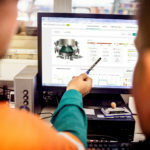 Whether it’s a start-up greenfield miner getting in on the ground (or, in some cases, underground) floor, or an established Tier 1 operator looking to modernise their fleet, the digitisation, modernisation and standardisation of processes and equipment across mining operations is a modern trend that doesn’t look likely to subside any time soon. Rockwell Automation is an advocate of standardising processes for mining companies, optimising hardware and software across their portfolios as a way to push operations to near or even beyond nameplate capacity. Advanced process controls such as model predictive controls (MPC) can be used to maximise process throughput of equipment and fine-tune either equipment or full process flows accordingly using algorithms gleaned from advanced data analysis. This kind of machine learning is a key part of the Rockwell Automation digitisation offer. Rockwell Automation used such techniques to aid Anglo-American at its Minas-Rio operations in Brazil, for example, by keeping the miner ahead of schedule and budget cost estimates at a major greenfields operation in the region. Closer to home, GFG Alliance (formerly Arrium) reaped the benefits of Rockwell Automation process controls at a South Australian operation that required minimal training to get site staff up to speed. This integration can translate to cost savings not just from improved uptime and product throughput, but from the potential minimisation of energy use as well. An example of this is the concept of ventilation on demand for underground mines, according to Geoff Irvine, Rockwell Automation strategic account manager, Rio Tinto. Since ventilation is generally only required in areas where there are people or equipment, this energy minimisation strategy can safely divert or even cut off fans in unmanned areas to save energy. “Another example, which is probably a little bit more involved, is on the crushing plant where the idea there is to introduce advanced control strategies,” Irvine says. “The strategy deployed is to adjust the speed crushing that depending on the varying concentrations of hardness that are going into it. According to Rockwell Automation managing director Scott Wooldridge, this desire for increased connectivity and centralised support is already firmly entrenched among the Tier 1 producers the company often services. “There are multiple value propositions to having a common networking automation system software standard,” he tells Australian Mining. “One is risk management – they’ve gone through the learning curve at one site so they can deploy more holistically. One way to achieve this is to have common platforms where the software integrates from multiple sites to a single remote operations centre (ROC). This is an operational strategy that has achieved much leverage in recent years by miners such as BHP, which opened a coal-focused integrated remote operations centre (IROC) in Brisbane two years ago following the successes of its IROC implementation in Perth in 2013, and Rio Tinto’s two-hectare ROC development at Perth Airport. These highly connected remote operations are not outside the realm of smaller mining operations, however. According to Wooldridge, start-ups can also benefit from this kind of holistic implementation. “If you’re a start-up miner with a greenfield, you should be thinking about some of these things from day one, because if you get it integrated in, it’s probably not going to cost you anything more,” he says. 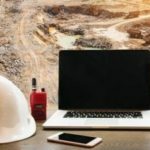 In the near future, Irvine predicts four key trends towards increased digitisation in mining, including the increased use of augmented reality (AR) and virtual reality (VR) for data overlays; predictive failure analysis; data science; and a general increase in the integration of cloud computing. And further down the track, ROCs may be all that is required to keep a mine site running effectively. “That’s a kind of nirvana,” says Irvine. “If you can set up one of these ops centres and have no-one working on the side that’s kind of where we want to get to. This article appears in the February edition of Australian Mining.